The European Committee of the Regions (CoR), European Commission and the United Nations Office for Disaster Risk Reduction (UNISDR) seek to accelerate the implementation and monitoring of the Sendai Framework, in order to reduce the impact of natural disasters. The scope is that disaster resilient development needs to be imbedded into all public investment strategies by transforming the commitments, made by policy makers and stakeholders, into national and local action and to accelerate regional implementation and monitoring. “The intensity and frequency of disasters are increasing. Focusing on response and recovery is no longer enough. We must become more resilient to disasters. Indeed, it is our moral and civic duty to ensure that all public money invested locally does not put the lives of our citizens at risk” said Adam Banaszak (PL/ECR), a member of the Kujawsko-Pomorskie Regional Assembly who represents CoR at the European Forum for Disaster Risk Reduction (EFDRR). This approach will mean that disaster response is more localised to the communities affected. It in turn will help improve Europe’s emergency services, civil protection mechanisms and construction standards. Clever involvement of private business can help finance disaster resilience, and facilitate important data sharing. 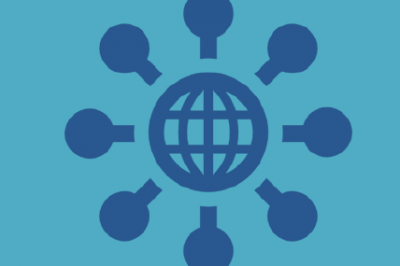 Read more about the Sendai Framework. It is also the Global Facility for Disaster Reduction and Recovery (GFDRR), being a global partnership that helps developing countries better understand and reduce their vulnerability to natural hazards and climate change, has elaborated the scope of disaster reduction and underlines a broader and integrated approach. PRIMO underlines the importance of a multidisciplinary, holistic and integrated dialogue on resilience. The approach of disaster planning and reduction should be tailored and integrated into the network, governance and management of regular non-disaster situations of local and regional communities. 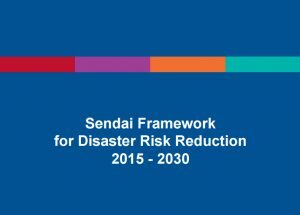 The Sendai Framework is one of the guiding initiatives for local communities to improve on disaster reduction and to strengthen resilience of cities and regions.